The fact that I bought my PlayStation 3 back in August and have only owned a total of 2 games in that time is a little unsettling. What’s worse, is previous to last week, I only had Warhawk in my collection as I had traded in Resistance a couple months back. Needless to say, my PS3 has served more as a Blu-ray player than a game console. 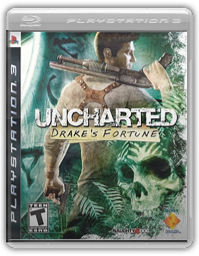 Then a little game called Uncharted: Drake’s Fortune came along. Somehow, it completely avoided my radar and only showed it’s glorious face for the first time in the form of a demo. After being blown away on all fronts, I quickly caught up on Uncharted and knew it was a game I couldn’t let pass. Uncharted is best described as a third person action/adventure game which borrows from the Tomb Raider series and Gears of War. If that’s not intriguing enough, at one point I was reminded of some great moments from the GameCube’s Resident Evil remake. Having watched many interviews with the Naughty Dog team on Uncharted, I know they strived to deliver something entirely different. Something beautiful, yet dark. Something simple, yet complex. Uncharted really does cover a lot of ground and it’s delivered in a seamless package that had me hooked from the get-go. I completed the game over the course of a few consecutive nights, but have already gone back and started the adventure again on Hard. Even with just having picked up the Halo 3 Heroic Map Pack, Unreal Tournament 3 and PGR 4 over the past few days, Uncharted is the game I sat down to play this afternoon. 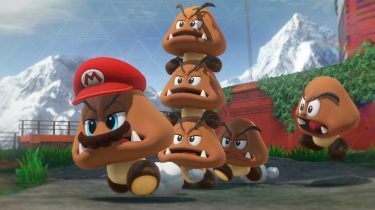 Everything from the highly detailed character models, to the fluid animations and the absolutely stunning environments are gorgeous! Uncharted is one of those games that people will stop to look at if it’s playing in a store. I’ve noticed both my wife and daughter on separate occasions have walked into the room and stopped to watch for a minute. It really is something to see. But it’s not just a shiny coat of paint. The finer details are what really got me. While running through the jungle, you’ll notice plants and tree branches will actually bend and move as you brush by them. Walls will crumble and break apart from gun fire and grenade explosions. Often, you’ll find yourself fully exposed in the middle of a gunfight after the wall you were taking cover behind falls to pieces. The story that unfolds is one that had me engaged and intrigued from the first chapter, right through to the ending. There were many plot twists that kept the path shifting constantly, but never to the point of being too frequent that it got annoying. It was always just enough to pique my interest yet again and make it even harder to put the controller down. The characters that make up the main cast are very likable and charming. The main story has you playing as Nathan Drake, who is searching for the long-lost treasure of his ancestor Sir Francis Drake. Along for the ride is Elena Fisher, host of a TV show who is funding their adventure. The chemistry between Drake and Elena is of a playful and charming nature and is quite fun to watch play out. Of course, this is helped along by the incredible character models and fantastic voice acting. 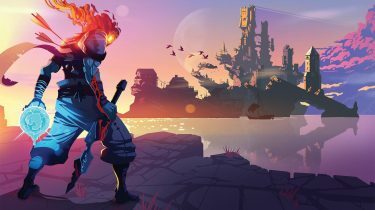 Being a single player only game with an average campaign length for a game of its stature, it does a good job of keeping you interested and wanting to come back to replay the adventure. Partly because they’ve adopted the Xbox 360’s Achievement system and called them Medals. Similar to Achievements, Medals are unlocked for meeting certain criteria through-out the game. There’s one for finishing the game on each difficulty, finding different amounts of hidden treasure and meeting combat goals like the number of headshots, kills with different weapons, etc. And also, just like Achievements, Medals have different weights attached to them which total 1000. The differences beyond the basics are fairly great, though. Achievements contribute to your global gamerscore, which of course doesn’t exist on the PS3. So I wasn’t as inclined to go after them all as I would have been on the Xbox 360. But scoring points from Medals will unlock rewards which come in all shapes and sizes. 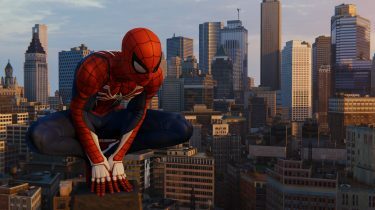 From alternate character costumes to different visual treatments, developer interviews and other movies to weapon cheats. Overall, it’s a very nice system and it’s truly unfortunate that the PS3 doesn’t have a unified system like this for every game like the Xbox 360 does. When I reached the half-way point, I was thinking that I would try and finish it up quickly so I could trade it in and put my credit towards Unreal Tournament 3. Having finished the game, my view has changed completely. Uncharted is a game that will remain in my collection for some time. It’s a game I know I’ll be able to revisit and enjoy playing through several times. And of course, it’s a beautiful show piece for the PS3 and definitely a title everyone who owns the console should check out.